I think Spring has officially begun. It is here! Now, Winter is still trying to hold on, but you can't hang on very long once things are put into motion. I think one of the best scents in the world is a freshly aired out house. Feeling the air revitalize your old winter weary bones. Speaking of revitalization, I got a call from Hollywood Video today. They called to inform me that I have a free movie rental from them! While telling Jeffrey the great news, we discussed what we would like to get. 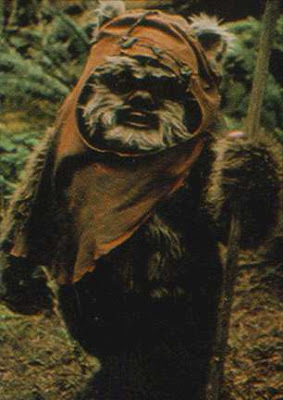 I suggested The Ewoks VS. The Munchkins. He really wanted to see it. Too bad I made it up when I realized he didn't want to see the movie I wanted to see. 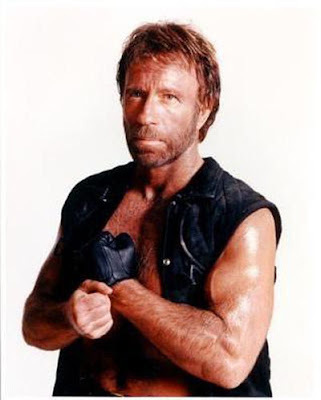 I then asked him if he would like to see Chuck Norris VS. Mr. T.
That was another movie I made up. I would pay good money to see those two movies. I can just see the movie posters! WHO WILL WIN THE ULTIMATE FIGHT? If any of you know of any screen writers, pass the idea along to them... but I get royalties! Oh, alright, we can share, 60-40. You can have the 60. See what a nice person I am? What movie would you use your free rental on? Even if the movie isn't made yet, what would you like to see made? 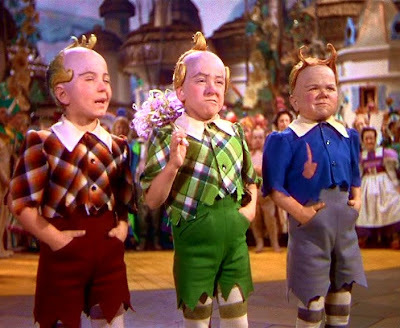 Yeah, I think I'd vote for the munchkins in the first showdown, but I don't know about the 2nd one. hahahahahahahaha!!!!!!!!!!!!!!!!!!!! hmmmm, free rental??? sisterhood of the traveling pants 2! 'cause i have read the books 4 times, yup, count 'em, 4 books, 4 times each. and i don't think i will ever convince sean to watch it with me, so it's either redbox or free movie;-) i do know a producer! don't forget you promised 60;-) sean's cousin is the producer on "without a trace." he also did "bill & ted's excellent adventure." a personal favorite of mine, hey! get that with your free rental! I'd have to go with Willow because I'm kind of craving it right now, if you can crave a movie. And in a way it's kind of a combo of all the movies you mentioned. Mr. T! The guy even drives my car, well, kind of. I got his voice for my gps from a site called Navtones. Its the real him and I love it! Mr. T is the man! 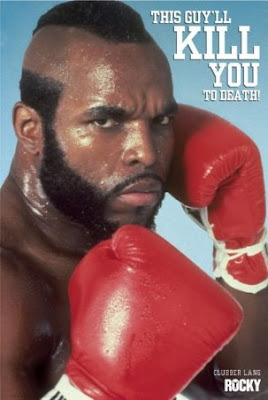 All the way to the death Mr. T, have no mercy! haha, that is so funny, i'd def pick the ewoks, they're like brown muppets! and i think i'd have to pick chuck norris, because not only does he kick asphalt, but turns out the dude is pretty smart and well written. who knew?